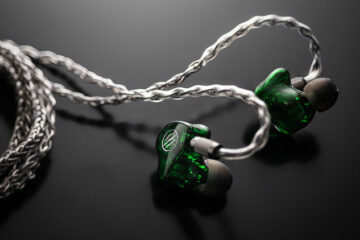 I have a lot of respect for what RHA has done in the IEM market to date with some excellent competitively priced IEMs such as the MA750(i) and the MA600(i) to a lesser extent. They really raised the bar in terms of what to expect for your dollar/pound and in some ways I would say they are compatible to what FiiO is doing for the budget portable amp and DAP market. The MA750 was also gobbled enthusiastically by a lot of our forum and FB members (that’s a 5000 strong legion from all of SE Asia and beyond right there – big up to the guys and girls!) and my own unit is still getting plenty of usage so it’s not a case of all show and no action. Fast on the heels of the MA750, RHA have launched a new single dynamic driver IEM called the T10i which is now positioned as their flagship or statement IEM and priced as such at £149.95 / €179.95 / $199.95 depending on what part of the globe you hail from. Now that’s a pretty big jump up from the MA750i’s more modest £89.95 which is the price on Amazon UK currently and truth be told once you break the £100 or $150-200 barrier things start getting a bit more serious. There is a lot of competition for the audiophile heart and wallet from big players such as Sennheiser, UE and Westone so we cannot really judge the T10i and RHA as a budget king on this outing. These are in effect tentative steps onto the next level and as well as that the T10i is bringing to the table something altogether quite different from the MA750i despite the packaging and accessories looking very similar. Now the unique selling point of these T10i is twofold and one of the first big points being made out is the whole concept behind how they are being produced which is though a technique call metal injection molding. 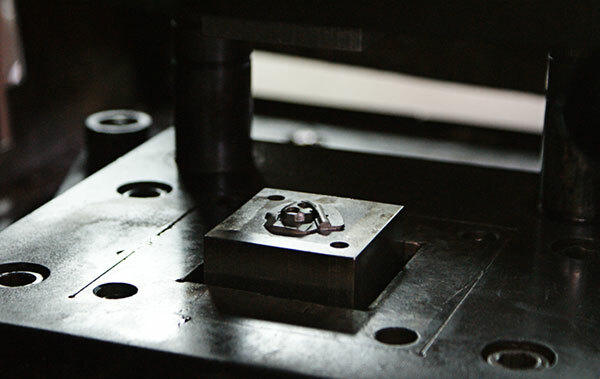 Metal injection molding is nothing new to the world of manufacturing. Personally I have spent the last six years in and around the steel fabrication processing business so I was very fascinated to understand how RHA honed this production technique into a credible ear shell for an IEM. The fact is you use tons of precision MIM manufactured products in your everyday life most of which you have probably have not noticed or taken for granted. You see it in the key and key locks you use to lock your doors, in musical instruments, in medical tools, watches, cars, IT equipment and so forth. 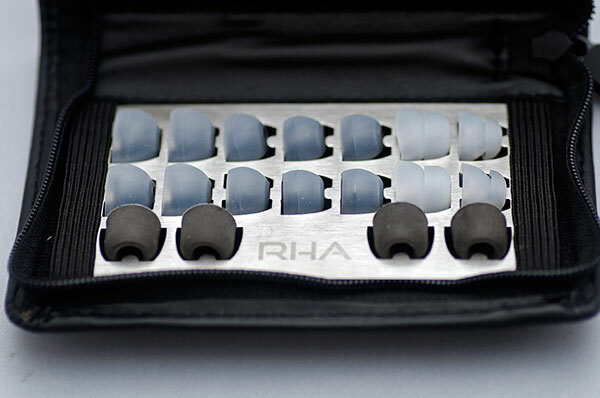 In short what RHA have done is probably a first in the headphone industry, particularly for IEM’s by bringing this hitherto unknown production process for audiophiles right up to and into your ear. The trick is in the metallurgy basically with a mix of powdered steel and polymer agent. Steel doesn’t strengthen with great form unless it has a mixing agent giving it just enough plasticity and flexibility to comply when injected into the molding blocks. Using a polymer mix alongside the steel powder is sort of the magic ingredient or forming agent that ensures when the mix is injected into the molding blocks out will come a perfectly shaped ear shell that can be processed into the final product after the finishing process. The metal injection mold blocks for the T10(i) – kindly reproduced with permission from RHA. It is not just a case of making a pretty shape either because this is an exact manufacturing science. Get it wrong and the shell will be too brittle or brutal looking to pass consumer expectations given the strength and prevalence of competing processes such as plastic molding, machine cut, hand crafting and of course custom ear shells you pay top dollar for these days. Not to mention also the horrid sonic qualities if the shell doesn’t possess the right air flow and resonant qualities to match with the selected drivers. I am willing to bet quite a few prototypes went in the bin before what you see in front of you was the acceptable final product. The closest I have seen to the T10i in terms of ergonomics and design is the Westone True fit plastic molded ear shell and that is one of the lightest and comfiest universal designs on the market today outside of customs. 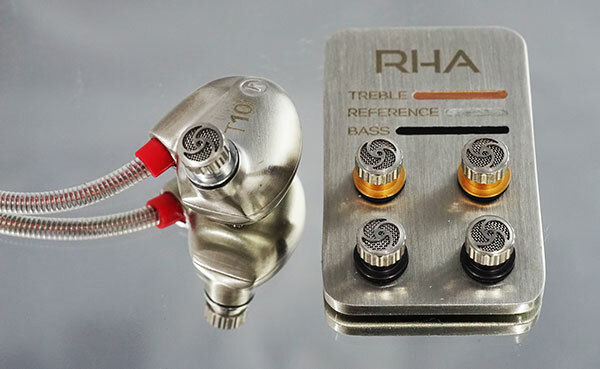 The second new feature RHA is pushing in the T10i is the addition of a triple filter system much like AKG’s K3003 or at the lower end of the cash scale with the MEElectronics SP51. Ok so nothing new here but I actually find the use of a filter system, if applied correctly to be a bit of a welcome bonus. Now whether or not you enjoy those filters is up to you and your personal tastes and you will find in our sound review I didn’t choose the reference filter as my go to filter unlike the K3003 which sounded perfect with their reference filter. However what it does is bring 3 very difference flavors to the table, with Treble, Bass and reference in a very nice well laid out metal resting plate for the filters you are not currently using. The metal resting plate for the filters is color coordinated with the port filters with black for bass, orange for treble and clear or white for reference. Unlike say the SP51 from MEE, the filter mesh is attached to the actual filter itself whereas in the SP51 it’s fixed on the nozzle meaning the rear ports are mesh free. Both have the same intended application by inducing a significant change in the character of the sound when you put on a different filter. For the most part the T10i follows the same form and function as the MA750i for its cable. From tip to about a few inches below the ear shell everything is the same apart from the labeling, after that there is a significant change from the MA750i with a very different but more refined over the ear hook system. The purpose of the new system is twofold; first to cut out microphonics to a minimum and second to create a steadier hook around the ear than previously possible with the older cable. Certainly the new styled cable is a step up on the older cable with the new hook system and though memory retention is almost zero I still think it is a bit too ‘wild and free’. Something a bit thinner and more pliant at this level would give it a really nice compact form factor for rolling up into the leather case. I do appreciate though it is a hellishly durable cable much like the MA750’s cable and should be able to take plenty of knocks. The hooks themselves at the top end are exceedingly compliant and hold their shape so around the ear the T10i behaves very well indeed. For those who buy the “I” edition you still get the very commendable and sturdy silver barrel remote and mic system that served me so well on the MA750i edition. The T10i form and fit competes very well with the Westone True Fit system in terms of fit and comfort. The shells are slightly more bulbous than the plastic molded Westones but feel tremendously light and secure in my ear depending on the tips you use. My personal preference is always the flange tips and they keep the T10i firmly in position with a great seal for me. The silicon single tips do an admirable job also but the seal is about 95% as effective as the flange tips. The memory foam tips have probably the best all round seal of the set but I always find the sonics of foam to be a bit duller and less dynamic than silicone or hybrids and rarely use them unless an IEM has an especially bright tonality. Combined with the warmer presentation of the T10i this was especially the case. congrats for the interesting review of the Rha t10… also a nice news about the new italian brand ubsound (I’ve seen it’s not possible to post a comment on so far). 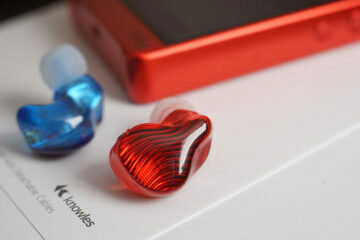 It seems these ubsound cutie iems are very intriguin… I’d like to read more about them. congrats for this deep & nice review… detailed as always on your forum/mag. It seems that the Rha t10i is a great iem indeed.